From Waxing Moon Designs, standing at the door waiting for your arrival is an adorable kitty, just waiting for a warm lap to cuddle up on. 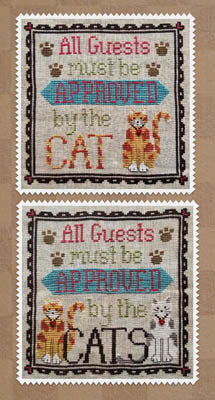 Two designs are included - it's a "purrfect" life! Stitch count is 92W x 92H.